November | 2012 | E-verything! This recent recorded session was Part 1 of another of Jo Freitag’s (@jofrei) excellent sessions about aspects of working with 2E learners. For those of you as bemused by the term as I was when I first encountered it, this is “shorthand” for “Twice Exceptional” and refers to learners who have a disability/disorder and are also identified as gifted in one or more areas. Jo started with started with look at where we were coming from on 2E students and a recap on the meaning of the term. She then moved on to start describing contrasting (perceived positive and negative) characteristics of 2E students that can pose challenges to teachers. Jo left lots of inviting white space around her images for us to add our ideas on strategies to overcome the weaknesses either by capitalising on the strengths or in other ways. The discussion on the whiteboard, in text chat and through audio was totally engaging! We “visited” around half of the characteristics leaving the remainder for the next session. A fantastic session! Time flew by and we finished with appetites well whetted for the second part next week. If you missed the first session then catch up with the recording and join us for the second exciting episode (see below for time/date). Our next FineFocus webinar is the Second Part of this session on the Characteristics of 2E students where @jofrei will continue to keep us busy considering how we can best meet some of the needs arising from the distinguishing characteristics of 2E students. Join us on Thursday November 29th at 23:00 GMT/UTC the time for you will vary depending on your timezone (check yours here) Thursday afternoon/evening in the USA, late night Thursday in Europe, and Friday morning November 30th in Australia – in the usual Blackboard Collaborate virtual room. Apologies once again for the delay in posting and the need to do a three in one post. Too many things happening in life and work at the moment and I can’t keep up! The first of the two sessions in this post ws the second half of a FineFocus session on De Bono’s action shoes and 2E students by @jofrei. The second was a Serendipity session – I am particularly grateful that this was recorded as I was unable to attend so the overview is based on the recording. The third session was an “off-the-cuff” session where several of us shared a tool/application we have used with students – Voicethread (@poulingail), GIMP (@philhart), Linoit (@JoHart) and Voki (@jofrei). The main focus of this session was a consideration of combinations and variations in the shoes. We had a great time exploring the possible combinations of two shoe types to produce modified action plans. Jo also shared some extra shoe types of her own that broaden the program possibilities including Sprite’s plaster cast that symbolises the support that may be available through eligibility for funding! A great session from Jo as always! 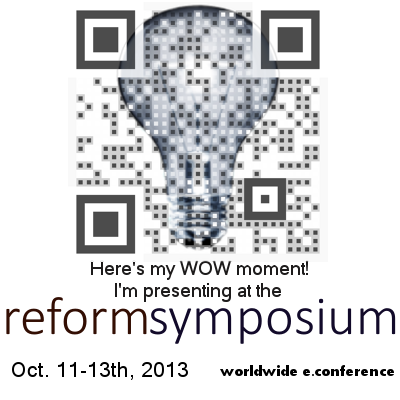 A lively recorded session that I was sorry to miss! I am writing the overview from the recording and although I am delighted to be able to catch the recording and to do this, I feel that the overview lacks the depth that comes from being there. This Serendipity ranged across several topics – Contacts for ESL; Which is better f-2-f or online; and why are outdated skills still being taught. An eclectic blend of topics which seemed to work very well! The conversation jumped around between topics often linking them together through context for example using online for ESL. The only way to do this session justice is to catch the recording! The third recorded session in this overview was a FineFocus in which several of us present gave a short “Show and Tell” about a particular tool that we use with students. This session was inspired by Gail (@poulingail) who had (the previous week) volunteered to tell us about her use of Voicethread. Gail showed us the Voicethread site giving us the link for signing up. She also shared her own page and in particular a thread from her Kindy students about a visit to a nearby vernal pool, fantastic to hear such young students articulating their ideas about the pool. 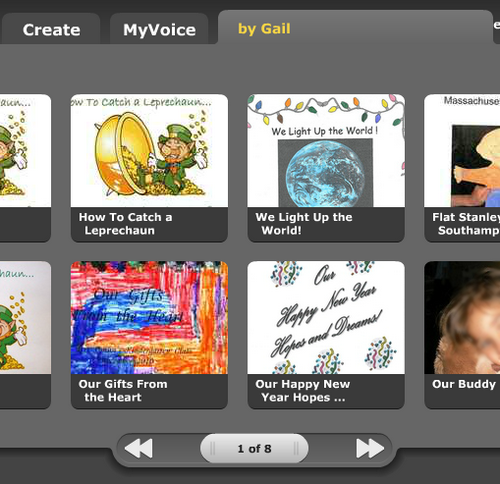 Gail continued – telling us about how she is using Voicethread to collaborate with other classes. One point she made of which I was only vaguely aware before is that you can give your feedback using other media than just plain recording on the site. This may encourage me to try again! A great “share” by Gail – I certainly learned a huge amount! Next up was Phil (@philhart) who told us about the GIMP – his favourite image editor. Free and with similar features to those of Photoshop. This is the one that Phil always recommends to students who want something a bit more sophisticated than Photofiltre. Phil takes panoramic images – many images that are then “stitched” together. These inevitably need a degree of editing and to illustrate the advantages of GIMP Phil showed us how he can quickly and easily remove image flaws. Again a fascinating share! Then it was my turn! My chosen tool was Linoit which is similar to Wallwisher. I have used this intermittently with students since myslf contributing to a fabulous global one instigated by Michael Graffin (@mgraffin) for World Water Day in 2011. I have used Linoit for students to give feedback on classess and also for short pieces of writing – often using an image as stimulus. Next year I will be asking students to write Haiku in response to an image stimulus. I enjoyed sharing Linit. 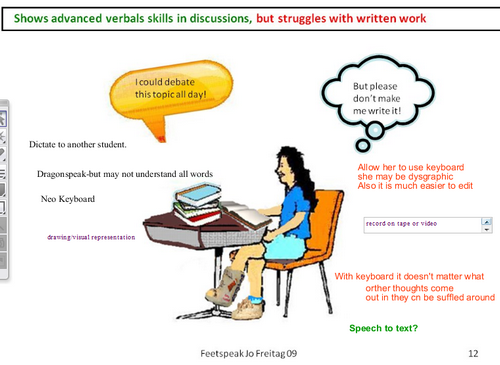 To finish off Jo Freitag (@jofrei) related her experiences with Voki (a talking avatar) and teenage boys in her blogging project completed last year. She emphasised how much the students enjoyed making Vokis and slso made the point that they didn’t, as could easily be the case with this age group feel that making Vokis was “babyish”. A terrific “word picture” from Jo to end the session. This session was fun – it is always so interesting when different people share tools as we all gain so many insights from one another. Our next Webinar is an Edublogs “Serendipity” session where we invite you to suggest your “hot” topics for discussion – we then select the topic by poll. Join us on Thursday November 15th at 23:00 GMT/UTC the time for you will vary depending on your timezone (check yours here) Thursday afternoon/evening in the USA, late night Thursday in Europe, and Friday morning November 16th in Australia – in the usual Blackboard Collaborate virtual room.